...that can enrich an individual's life for years to come, However, moving to a foreign country for an extended stay requires more than a pocket translator and packing supplies, Health and safety are top priorities, and living in another country often increases your risk, Even if you already have insurance, remember that not all insurance policies cover losses that occur outside your home country's borders, so it is important to obtain coverage for your new destination to help protect you against everything from everyday accidents to larger disasters, Read on for tips about how international insurance can protect you abroad. ...is essential if you plan on driving abroad. Automobile policies cover a variety of risks: Comprehensive and Collision protects your vehicle should a theft or accident occur while it is parked or being driven; Primary Liability is generally compulsory, and provides coverage in the event you have to pay damages to another party due to personal injury or property damage; Excess Liability covers damages above and beyond primary liability limits if serious injury results from an accident. Laws and insurance levels vary throughout the world, and some countries lack consistent laws that are often not enforced. International insurance providers are qualified to assess these regulations and recommend proper coverage for your vehicle. ...consider obtaining personal property coverage for your relocation and stay in your host country. Transit insurance is an important part of any international move since property has a greater risk of being lost or broken in transit from one location to another. It is advisable to find a Personal Property policy that includes transit insurance to avoid gaps in coverage. Aside from protecting your possessions, you need to insure your most valuable asset which is your health. Typical health coverage does not extend beyond the borders of your home country; so when travelling or relocating to a new country, you will need a new plan to cover this gap. A few things to consider when shopping for International Health Insurance are emergency evacuation, your current health status and pre-existing conditions and claim payment procedures. ...is available if you are moving to certain, high-risk countries. Recent hot spots include countries in certain regions of South America and Africa. War and Terrorism coverage is also recornmended for expatriates living in countries with civil and political unrest. Many medical and life insurance policies exclude claims resulting from acts of war and terrorism, but offer an extension for optional coverage. Relocating to a new country involves many unfamiliar risks and it is easy to assume that insurance will follow you wherever they go. While local agencies can provide some assistance, the complexities of an insurance policy can get lost in translation and become overwhelming for a newly arrived expatriate. 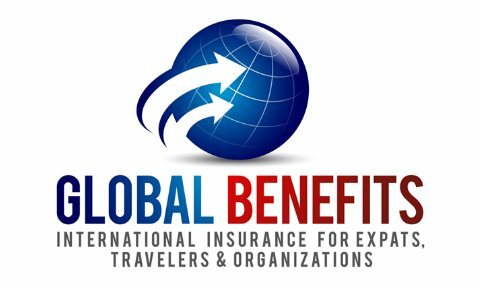 International providers offer the best of both worlds - the coverage you need from a company you can trust. If you take the necessary steps to acquire the right coverage, you will be protected no matter where in the world your journey takes you.